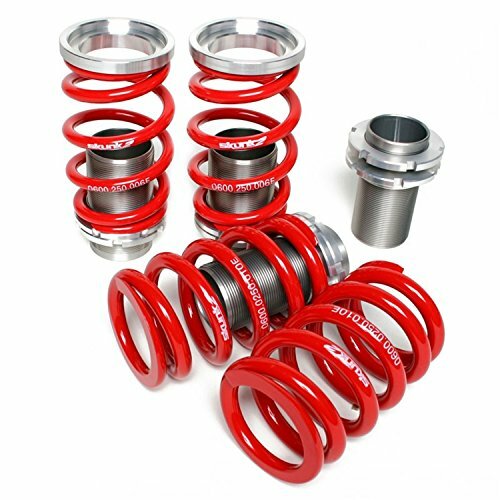 Skunk2's adjustable sleeve coil-overs for the Civic, CRX, and del Sol feature hard anodized, CNC-machined aluminum sleeves, forged spring perches, SAE 9254V racing springs, and mounting hardware that allows for as low as a three-inch drop. Skunk2's adjustable sleeve coil-overs for the Integra feature hard anodized, CNC-machined aluminum sleeves, forged spring perches, SAE 9254V racing springs, and mounting hardware that allows for as low as a three-inch drop. 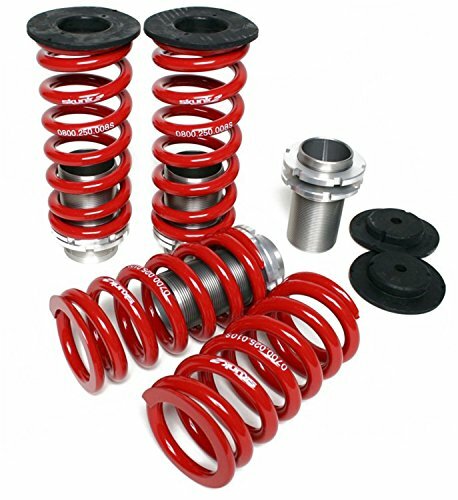 Skunk2's Adjustable Sleeve Coilovers for the '02-'04 RSX feature hard anodized, CNC-machined aluminum sleeves, forged spring perches, SAE 9254V racing springs, and mounting hardware that allows for as low as a three-inch drop. 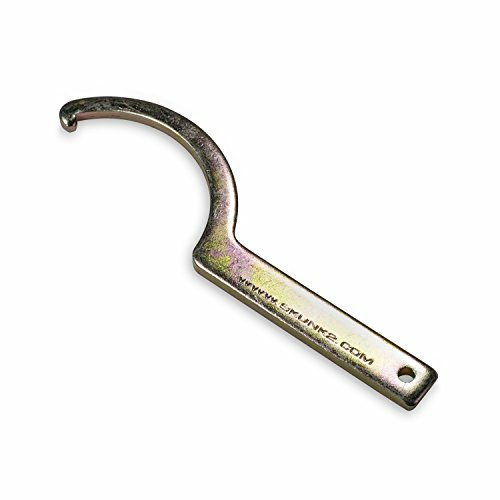 adjustable sleeve Coil-over Spanner Wrenches are compatible with all Skunk2 adjustable sleeve coil-overs, helping make ride height adjustments quick and easy. 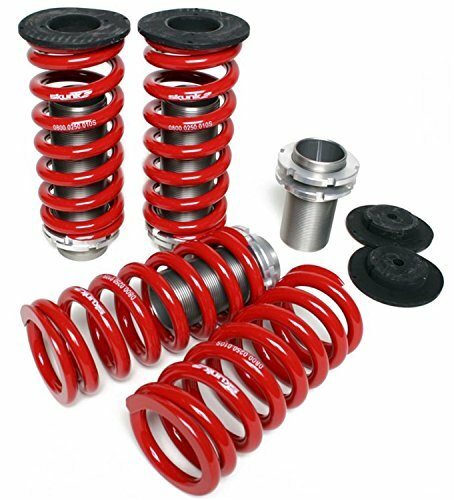 With over 10 years of experience in spring technology and suspension, the race inspired Skunk2 Adjustable Coilover system design provides an affordable yet aggressive system that allows you to tune the balance and handling performance of your car by adjusting the ride height. 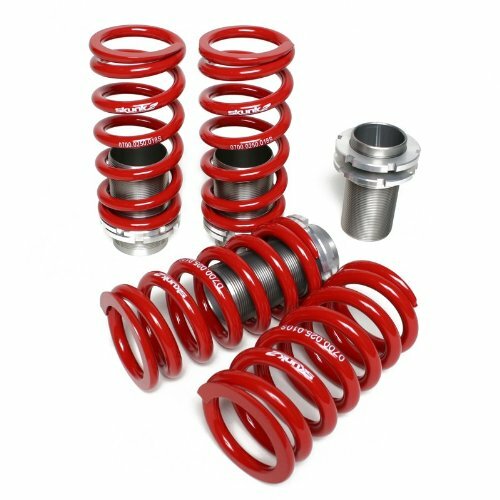 Whether your vehicle is set up for street driving, or weekend track days, the Skunk2 Adjustable Coilover kit is the solution. Designed to be used with stock or aftermarket shocks, Skunk2 Adjustable Coilovers enable you to upgrade your shocks and springs in separate stages. 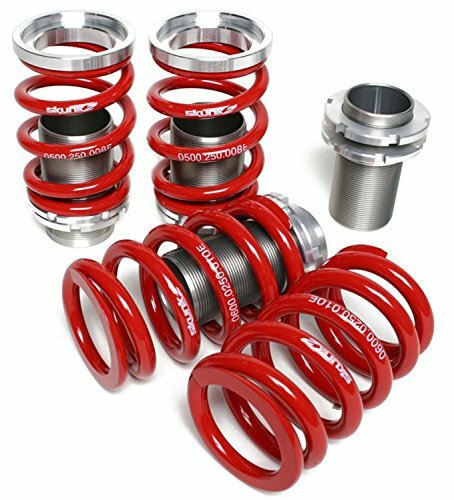 Each coilover kit features hard anodized CNC-machined aluminum sleeves, forged spring perches, SAE 9254V racing springs, and mounting hardware that allows up to a 3-inch drop (sometimes more). When applicable, we recommend using Skunk2 Adjustable Coilovers in combination with Skunk2 Sport Shocks for the ultimate bang for the buck. Skunk2's Drag Launch Adjustable Sleeve Coilovers for the '88-'00 Civic and CRX, '93-'97 del Sol, and '90-'01 Integra are the industry's most affordable suspension system specifically designed for drag racing. Skunk2's adjustable sleeve coil-overs for the Accord feature hard anodized, CNC-machined aluminum sleeves, forged spring perches, SAE 9254V racing springs, and mounting hardware that allows for as low as a three-inch drop. 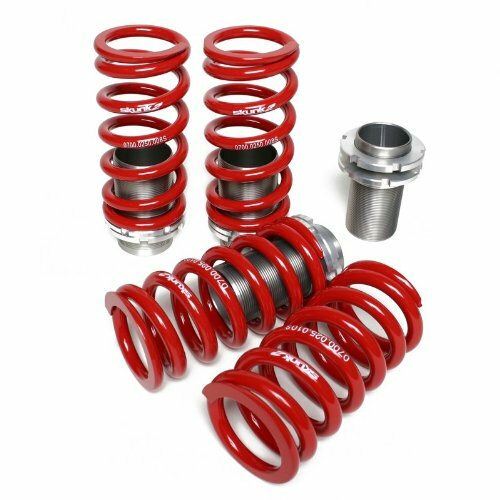 Skunk2's Adjustable Sleeve Coilovers for the '01-'05 Civic Si feature hard anodized, CNC-machined aluminum sleeves, forged spring perches, SAE 9254V racing springs, and mounting hardware that allows for as low as a three-inch drop. Skunk2's adjustable sleeve coil-overs for the Prelude feature hard anodized, CNC-machined aluminum sleeves, forged spring perches, SAE 9254V racing springs, and mounting hardware that allows for as low as a three-inch drop. 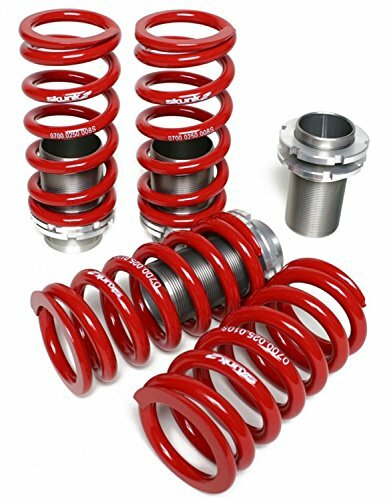 Skunk2 Adjustable Sleeve Coilovers Skunk2's Adjustable Sleeve Coilovers are the industry's most affordable yet aggressive suspension system that allows street and track enthusiasts to fine tune vehicle ride height, balance, and handling performance. 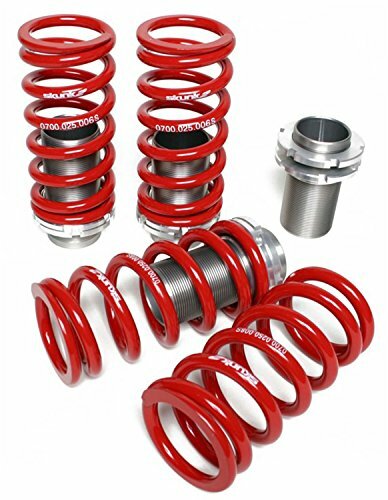 With nearly 15 years of spring technology and suspension tuning experience, Skunk2's race-inspired, Adjustable Sleeve Coilover system provides a cost-effective alternative to more expensive full coilovers like our Pro-S II and Pro-C systems. Copyright © Wholesalion.com 2019 - The Best Prices On Skunk2 Coilover Sleeve Online.